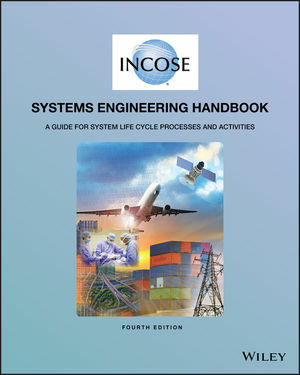 The objective of the International Council on Systems Engineering (INCOSE) Systems Engineering Handbook is to describe key process activities performed by systems engineers and other engineering professionals throughout the life cycle of a system. The book covers a wide range of fundamental system concepts that broaden the thinking of the systems engineering practitioner, such as system thinking, system science, life cycle management, specialty engineering, system of systems, and agile and iterative methods. This book also defines the discipline and practice of systems engineering for students and practicing professionals alike, providing an authoritative reference that is acknowledged worldwide. This book is ideal for any engineering professional who has an interest in or needs to apply systems engineering practices. This includes the experienced systems engineer who needs a convenient reference, a product engineer or engineer in another discipline who needs to perform systems engineering, a new systems engineer, or anyone interested in learning more about systems engineering. David D. Walden, ESEP, is co-owner and principal Consultant for Sysnovation, LLC, USA, which provides consulting and training in systems engineering throughout the world. Mr. Walden is Member of Tau Beta Pi, Senior Member of the IEEE, and an INCOSE ESEP. Garry J. Roedler, ESEP, is Fellow and the Engineering Outreach Program Manager for Lockheed Martin, USA. Mr. Roedler is an INCOSE Fellow and the recipient of the INCOSE Founders Award, the IEEE Golden Core, the Lockheed Martin Technical Leadership Award, and the Lockheed Martin NOVA Award. Kevin J. Forsberg, ESEP, is a recipient of the INCOSE Pioneer Award, an INCOSE Fellow, and a Fellow of ASME. Dr. Forsberg is co-owner and principal Consultant for OGR Systems, Inc., which provides consulting and training in systems engineering and project management worldwide. R. Douglas Hamelin is a Systems Engineering Specialist and Technical Writer for the Idaho National Laboratory. Mr. Hamelin is trained in requirements management, and contributes to a wide range of systems engineering applications as a functional analyst and document specialist. Thomas M. Shortell, CSEP, is a Senior Member of the engineering staff at Lockheed Martin. Mr. Shortell's experience spans requirements, architecture, integration, verification, and validation. He is a member of INCOSE and an INCOSE CSEP.